Repair Cafés in Switzerland: Are you going to throw it away? Year by year, so-called Repair Cafés are becoming increasingly popular worldwide. These are certain places where volunteers meet in order fix some devices, appliances, etc. The first Repair Café was launched in Amsterdam in 2009. The concept was invented by Martin Postma. On October 18 of the same year, the first Repair Café event took place in Fine Wood Theater. On March 2, 2010, the Repair Café Foundation was set up. This foundation was created to support local groups who would like to start their own Repair Cafés. In September 2013, there were 150 groups who used to hold such meetings on a regular basis in the Netherlands. What can such unusual cafes repair? Nearly anything that can get out of order (ranging from household appliances such as hair dryers and stereo systems, computers, laptops, phones up to clothes, headwear, furniture, kitchen utensils, jewelry, bicycles, toys, etc.). Since the first Repair Café was launched, such cafés have been spreading throughout the Netherlands, Europe and, most recently, in other parts of the world, too. For example, the first Repair Café in the United States was Repair Café Palo Alto. Their first event in October 2012 attracted 100 people. The second one was so popular that the organizers had to select 100 participants among the 300 willing to take part in the event. Here is another interesting fact in favor of Repair Cafés. In 1960, each person in the United States produced 2.68 pounds of waste per day. By 2000, the average amount of waste produced reached 4.65 pounds per day. This is the highest rate in the world. Repair Café Palo Alto is a volunteer in community services that promote repairing and reusing of goods instead of throwing them to a landfill. Recently, some Repair Cafés have started using 3D printers to replicate defective parts. Broken parts of home appliances can often be joined/stuck together and then 3D scanned. A scanned 3D visualization model is converted into format adjusted through software and network, after which Repair Café clients can 3D print it on their own (Repair Cafés are not provided with own 3D printers so far). In other words, you can print a 3D model scanned in a Repair Café for example with the help of a local 3D printing service, after which a new part can be mounted into a broken machine at a Repair Café. Today, there are over 1,081 Repair Cafés all over the world. The key goal organizers pursue is reducing the amount of waste locally and encouraging positive relations between people. Volunteer specialists help participants revive broken parts for free, which means keeping your wallet secured. 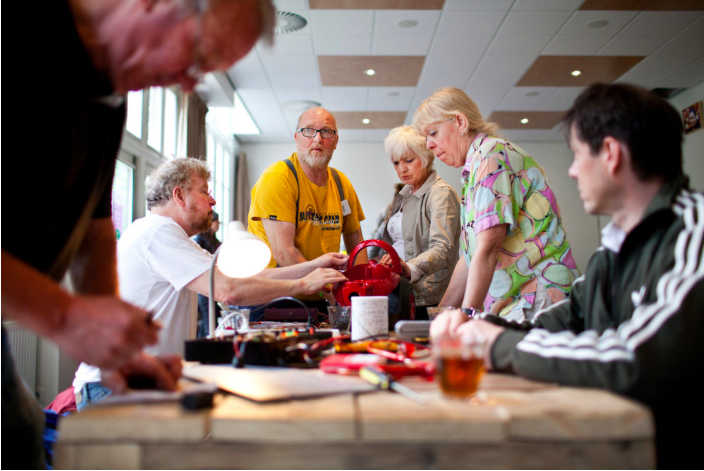 At a Repair Café you can meet new people, have a talk, coffee and cake, just enjoy yourself and have fun. 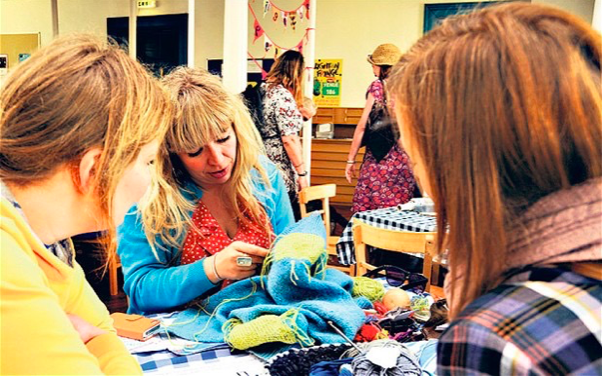 Repair Cafés breathe new life into old things. On certain days, volunteers visit different parts of Switzerland to exchange information, provide required tools and assist in fixing electrical appliances, clothes, toys and any other useful object. Many of these volunteers are retirees who are glad to offer their skills for public benefit. This type of service is quite popular. 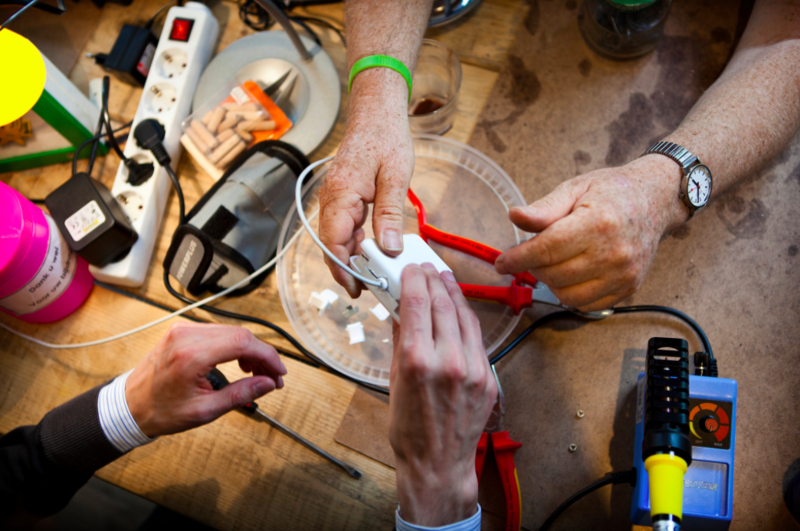 The “first come first served” priority rule is true for Repair Café events. For an advanced Repair Café list, please visit itdir.ch. This is the newest easy-to-use catalog of Switzerland-based IT companies. With the help of this modern directory, you can easily find all the required services and contacts.